WWe are off to South Africa for an epic road trip and we can’t wait! We are driving from Johannesburg to Cape Town, but we’re going do it the long way round. We’ll go to Durban, along the coast to Port Elizabeth, past the Garden Route and Klein Karoo desert to Cape Town. There’ll be some awesome food and wine, some crazy extreme bungee stuff, some surfing, and lots and lots of sharks – eek!! And we’re doing it all in a bakkie, which apparently is what the locals call a pick-up truck. BBe part of the adventure and join us for an unforgettable journey of a lifetime that spans over thousands of kilometers across sunny South Africa. 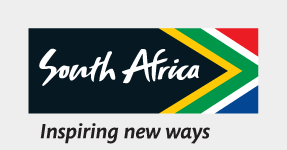 Come and meet South Africa with us as we experience the country’s natural beauty, adrenaline-fuelled activities, vibrant culture and so much more by following our videos, which capture the true essence of this amazing country. EEpisode 14 - Our epic road-trip through South Africa has sadly come to an end and after a jam-packed 10 days filled with shark-cage diving, sand-boarding, safari tours, river tubing, caving, glamping and more, it's time to head to Stellenbosch for some wine tasting. Less than 30 minutes drive from Cape Town, Stellenbosch is home to nearly 200 wine and grape producers. The Cape Winelands region of South Africa offers majestic and breathtaking scenery, awe-inspiring food and delicious wine-tasting experiences - The perfect end our trip! Maya is ITV’s new Saturday night show Cannonball with Freddie Flintoff and has been building up a significant social media following for the last few years through her work with MTV, COPA, 90, Sky Arts, and The Brits. Alice is an author, presenter, fitness guru and healthy food expert. Saunders is an established travel vlogger, with a great social footprint who creates brilliant content as he travels the globe.